Nick Owen has been a broadcaster on radio and television since 1973. He is perhaps best known for his pioneering role on ITV’s breakfast television, TV-am, and his partnership with Anne Diamond. Nick was on air on the first day presenting the sport, but became the main anchorman within eight weeks. He also led ITV Sport’s presenting team during the late eighties and nineties, which included hosting the European Football Championships and Olympics in 1988 plus the World Cup in 1990. He commentated on the World Cup in 1982. More recently in the nineties, Nick anchored Good Morning with Anne and Nick for 600 shows on BBC 1. During his time on television, he has interviewed seven Prime Ministers and many of the greatest names in sport and showbusiness, including Jane Fonda, Bob Hope and Eric Morecambe. When he is not broadcasting, Nick hosts conferences and awards events as well as speaking at dinners. He was named UK Speaker of the Year in 2010 by the Association of Speakers Clubs and made an Honorary Doctor of Letters by the University of Worcester in 2013. 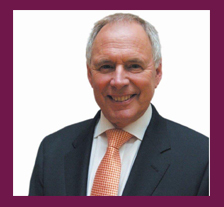 Nick is currently chairman of Luton Town Football Club and a former President of Derbyshire Cricket Club. He has presented the regional news programme Midlands Today since 1997 and lives in Staffordshire.